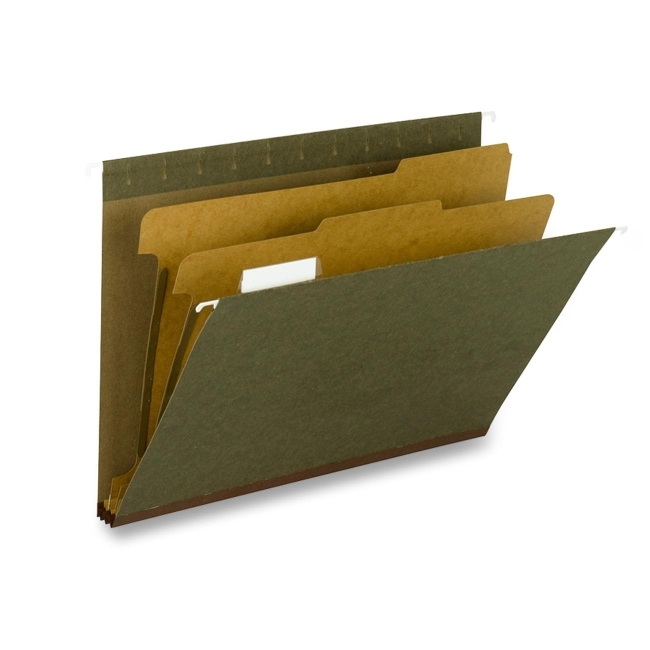 Hanging folders with dividers allow you to subdivide documents, improving efficiency and accessibility to records. 1" prong fasteners on 17 point kraft dividers keep information sequentially organized and at your fingertips. Coated rod tips slide easily on file drawers. Clear poly tabs can be positioned in several locations on front or back panel. Lighter green on the inside of the folder helps prevent accidental filing of papers between folders. Folders expand up to 2" and are made with 95 percent post-consumer material.